In a mere 69 years. As the logical bubble bursting follow-up to the Washington Post&apos;s report that FBN averaged 8,000 viewers during daytime programming and 20,000 viewers in primetime for July, up from 6,000 and 15,000 at the start of the year, Portfolio&apos;s Jeff Bercovici crunched some numbers and found that victory over CNBC is just around the corner. Assuming there is no growth from Englewood Cliffs--which is not likely, given the networks plans to introduce three hours of mid-day programming that will bring a sweaty, screaming, bench pressing Charlie Gasparino onto your trading floors--Fox will overtake CNBC and its 284,000-person daytime audience in 3,588 weeks (and with regard to primetime, a measly 884 weeks though I&apos;m not sure who gives a rat&apos;s a about that). Which reminds me--not a single one of you has sent us a commercial to air on FBN for the bargain price of $250-$900 for a 30-second spot. DO IT NOW, before it&apos;s too late, and the cost of achieving Foxtastic glory rises above what Cody managed at his hedge fund. Sorry not sorry David Faber. 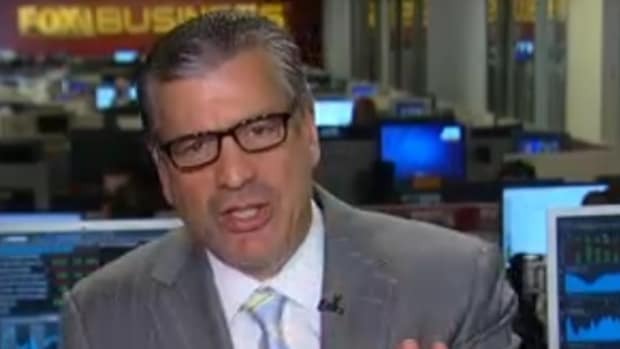 Charlie Gasparino: "I Left [CNBC] Extremely Amicably"